Cierra is using Smore newsletters to spread the word online. Transform Boundaries create earth quakes and fault lines. 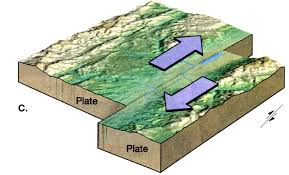 A transform boundary is when 2 tectonic plates slide past each other. A popular location of a fault line is San Francisco where the San Andres fault line is located. Divergent Boundaries are when 2 tectonic plates move apart. 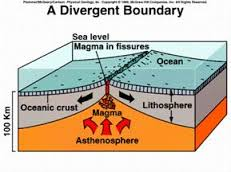 Divergent boundaries in the ocean create volcanoes and sea floor spreading like the mid- Atlantic ridge. Divergent boundaries on land creates rifts and valleys. Convergent boundaries are when 2 tectonic plates collide. In a convergent subduction an oceanic plate and a continental plate collide forming a trench (can also form volcanoes). In convergent continents where 2 plates collide leading to the formation of mountains like the Himalayas.